For some unknown and mysterious reason, the action of tying knots fills me with inexpressible glee! Its amazing how one piece of rope can intricately wrap around itself and then hold such weight! Some of them are easily movable when slack, only to become as unmovable as the rock of Gibraltar when weight is put on it. The wide variety of knots leaves your mind spinning in awe and dancing with aspirations of inventing a new one! 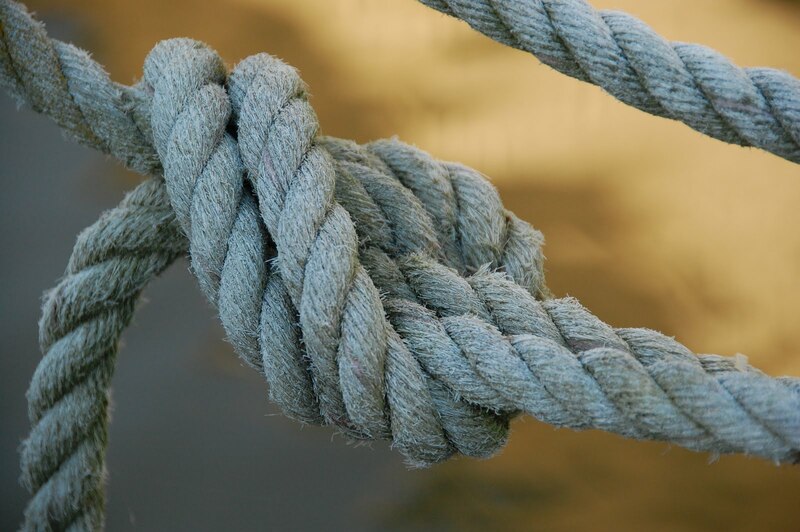 I cannot deny that some of my fascination with knots is due to the many spiritual and philosophical analogies they bring to mind. There are many.